$599.99 Seen a lower price? 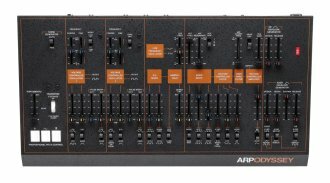 The unmistakable sound of the ARP Odyssey in a desktop module format; offering all editing and sound specifications from the keyboards -- without the keys! CV/GATE including to interface withanalog desktop racks and synths, USB and MIDI for interfacing with controllers and DAWs. Comes in Rev1 (White Panel) and Rev3 (Black/Orange Panel). Neither is a limited edition. 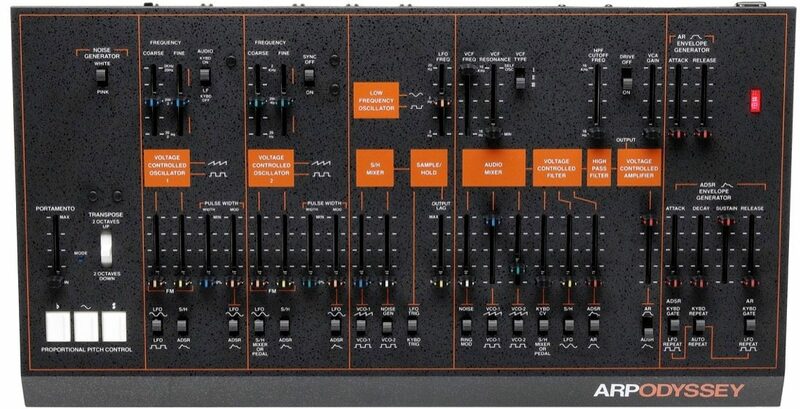 Same Day Music is an authorized dealer of ARP Instruments products. - LFO Sine Wave: +1/2 oct.
- LFO Square Wave: +1.5 oct.
- Attack Time: 5 msec. to 5 sec. - Decay Time: 10 msec. to 8 sec.